The VEX U college and university competition has more than 300 teams competing in local tournaments and at VEX Worlds. Based on the VEX Robotics Competition, VEX U teams are allowed more customization and greater flexibility than other grade levels while providing the effective costs and real-world limitations of a restricted development environment. See more on why colleges get involved in the VEX U program. VEX Robotics Competition Turning Point is played on a 12’x12’ square field configured as seen above. Two (2) Alliances – one (1) “red” and one (1) “blue” – composed of two (2) Teams each, compete in matches consisting of a fifteen (15) second Autonomous Period, followed by a one minute and forty-five second (1:45) Driver Controlled Period. The object of the game is to attain a higher score than the opposing Alliance by High Scoring or Low Scoring Caps, Toggling Flags, and by Alliance Parking or Center Parking Robots on the Platforms. Click here for a list of VEX U qualifying events for the VEX Robotics World Championship. October 1 Last date to post an official VEX U qualifying event. January 1, 2018 All Skills Challenge qualifying events must be posted and open for registration. January 1 All international teams must be registered and paid. January 16 International teams attending VEX Worlds must be on the wait list. January 31 Deadline for qualified teams to register for VEX Worlds within their three-week window. February 1 Teams qualified for VEX Worlds have one week to register to attend. February 28 Last date to hold a non-US Qualifying Event. March 10 Last date to hold a US Regional Qualifying Event. March 15 Wait listed teams begin to receive invitations to attend VEX Worlds if space is available. March 27 Deadline for payment to VEX Worlds. 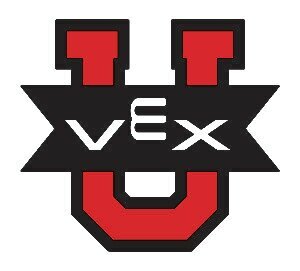 April 24-27 VEX U portion of the VEX Robotics World Championship will be held in Louisville, Kentucky.